Blindness is sure to make a person’s life more challenging in several ways, but some people are not willing to let vision loss stand in their way. 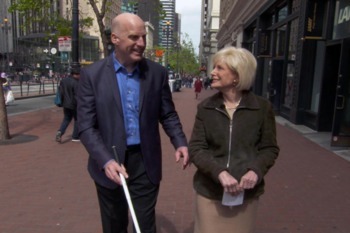 Chris Downey, 45, spoke recently with Lesley Stahl of 60 Minutes about life as an architect since he lost his vision. After brain tumor surgery left Downey completely blind a social worker spoke with him about career alternatives. However, Mr. Downey was determined to continue on his current trajectory. We invite anyone living with vision loss in California to reach out to SDCB for support. Our services help the visually impaired live doing many of the same things they did while sighted.